Stephen Ambrose Historical Tours has extensive experience in designing and customizing private group tours for different organizations, including student and alumni groups, professional organizations, military associations, and family reunions and vacations. On a Custom Tour by Stephen Ambrose Historical Tours, the historians who lead our group historical, WWII, WWI and D-Day tours, leaders in their field, will accompany your group on your private tour. However, you will be able to choose the level of hotel that suits your group, whether or not you would like meals included, and any other amenities you may or may not want. Our historians will work closely with our team in New Orleans to customize your itinerary to your specific interests whether it is covering the air warfare of WWII or visiting the sacred ground where your grandfather fought. You can also choose one of our existing group tour itineraries, which we can tweak to allow more free time, to visit a museum or attraction of interest, or to tack on additional days for a side trip. We have arranged several military reunion tours, including specialized D-Day Tours for the 197th AAA Battalion, Rangers Battalion, Landing Craft Infantry, and 410 Bomb Group. 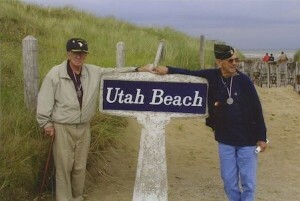 We have operated high school and college educational tours for our D-Day and Lewis & Clark Tours. We have worked with universities to put together alumni tours (Princeton University – D-Day Tour; Whitman College and Baylor University – Lewis & Clark Tour; Texas A&M Traveling Aggies – Lewis & Clark and Band of Brothers Tours). We have worked with many guests to design a custom tour for multi-generations of their family. Please contact our Mark Bielski or Terri Sercovich at 504-821-9283 to discuss your custom tour.